As we dance our merry way into June, Queen Josephine catches up with someone who’ll not only be playing the tunes but making them as well. Gather round people – it’s time to hear some words of wisdom from the fabulous Mikalis. But please, try not to mention Paris Hilton……. Where can we see you playing? At the moment I’m mostly playing for Kidology, which is a London based record label I’m very fortunate to be a part of as DJ/Producer/Label Manager. We played the Buddha Lounge on 17th May, then Sub Audio Festival on Clapham Common on the 24th which was my first experience DJing at a ‘silent disco’! Our pre-Ibiza Tour party Saturday Sessions at the Ministry Of Sound London start on the 7th June with James Zabiela headlining. And what’s up on the production front? First up in early June is Be Prepared, Understand which is a rework of the classic piano house track Choc The Beat with a bit of diva vocal action added. Then in July the Mark Wilkinson and Mikalis remix of Dolly Rockers Voices will be out, closely followed by another big gay remix which I’ll be giving away in time for Brighton Pride!!!! How would you describe your djing style? Lovingly blended uplifting house with a heavy influence from the days gone by of house, disco and garage. I enjoy playing with familiarity and presenting much loved sounds in new ways! Which tune always fills up (or rescues) your dancefloor? Inner City Big Fun ‘We don’t need a crowd to have a party, just a funky beat and you to get it started and oh, we’ll dance the night away’…… pretty much says it all! What would be your ultimate dream gig (no holds barred and in an ideal world!!!)? I’d love to go back in time and play at Paradise Garage in New York along side Larry Levan with a PA from Loleatta Holloway! Name a tune you wish you’d never played (and why!)? Oooooh there are so many. One that springs to mind is a remix of Paris Hilton’s Stars Are Blind, mainly because it makes me feel partially responsible for her continuation in the music industry! What’s been your best ever gig? 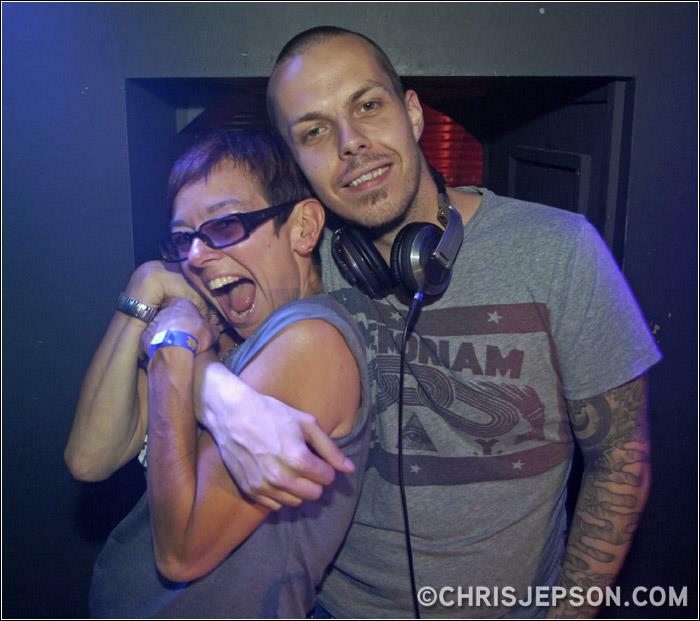 I’d have to say warming up for Fatboy Slim at Wild Fruit on the night of Brighton Pride a couple of years back! I dropped my remix of Ce Ce Penniston’s Finally and when it got to the breakdown I looked up, all the lights in club were on and most of the club were facing the DJ booth with their hands in the air singing!